There has been at least one occasion in my life when I successfully played the matchmaker. A few years before I was ordained, I introduced one of my housemates to a girl I knew from college. They went on to get married, and I have since baptized their daughter. All I really did, though, was get the two of them together. They had to do the work of getting to know each other through dating. I could have described the two of them to each other, but that would probably have been inadequate. They had to learn for themselves if they were right for each other. A middleman can only do so much. In this Sunday's Gospel, Our Lord says, "All things have been delivered to me by my Father; and no one knows the Son except the Father and no one knows the Father except the Son and anyone to whom the son chooses to reveal Him." Jesus sounds something like a matchmaker: "I know the Father and He knows me. Let me introduce you to Him." But, Our Lord is hinting at so much more. He can do much more than introduce us to the Father, he can show us the Father. If we wish to know the mind and heart of the Father, if we wish to know of the Father's love, we have only to look to Jesus Christ. 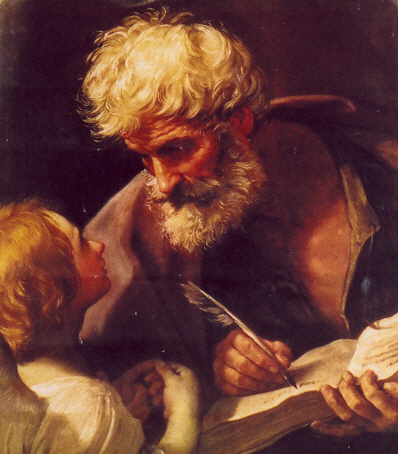 He is, as St. Paul puts it in his Letter to the Colossians, "The image of the invisible God" (Col 1:15). Or, as Our Lord Himself says to Philip at the Last supper, "Whoever sees me sees the Father," In other words, Jesus is our one mediator with the Father because He is the Son. He is one with the Father, He knows the Father. With that said, what does the Son reveal about the Father? In Christ, we encounter a God of life. Some of the most moving passages of Scripture are those where Our Lord shows compassion for the sick and the suffering. Some of the most dramatic miracles are those that involve Jesus raising someone from the dead. Most awesome of all is that the Father does not abandon His only Son to death. Rather, He raises Him up again. How well it was said in the Old Testament that God does not delight in the destruction of the living. He has no desire to see a soul perish in sin. The eternal God created us so that we, too, might have life. This is significant if we consider what Jesus says next: "Come to me, all who labor and are heavy laden, and I will give you rest. ... For my yoke is easy and my burden light." On the face of it, life is not easy. It seems on the face of it to be full of suffering: broken relationships, daily worries and anxieties, addictions, physical suffering and the loss of loved ones in death, just to name a few. I cannot even imagine the anguish of losing a spouse after being married for decades, or a parent who has lost a child. Yet here Our Lord is saying, "Come to me and I will give you rest." Notice that Our Lord does not say He can take those burdens away completely. He simply says that in coming to Him we will find rest for our souls. How can He do this? By making known to us the Father's love for us and that we are constantly in His care. Jesus once said that we should not fear those things or even those people who can destroy the body but not the soul. He said that not a sparrow falls to the ground without our heavenly Father knowing about it, and that we are worth more to the Father than many sparrows. The same Jesus Christ once said that in His Father's house there are many mansions and that He would go to prepare a place for us. He can say these things, He can give us these assurances, because He is the Son of God. He knows that Father, and He can make Him known. If Our Lord said it, it comes from the Father as well. We find rest for the soul in Jesus Christ because, as St. Paul once put it so beautifully, nothing can separate us from the love of God in Jesus Christ, not persecution, not famine, not the sword, not poverty. The soul finds rest in Jesus Christ because He reveals to us the hidden face of the Father of life.